Fort Worth, Texas -- The Fort Worth Chapter of the Hispanic Network of Texas (HWNT) recently awarded over 50 college scholarships to graduating members of its Latinas in Progress™ (LIP) program. The total amount of scholarships awarded at the HWNT Graduation and Scholarship Banquet held at Tarrant County College on April 28th was over $345,000. Through the LIP Education Series, HWNT aims to mentor senior high school Latinas throughout their college journey and equip them with the means to succeed in their personal and professional lives. LIP exposes senior high school Latinas to college life and provides them with the tools needed to succeed in their personal and professional life. The LIP Education Series consists of five learning sessions, city wide volunteer opportunities, and HWNT mentors. Upon completion of the program, LIP participants are eligible to apply for scholarships established by HWNT and its partner organizations. HWNT scholarship funds are raised primarily from the organization's annual gala and other fundraising events, as well as supported by individual donors. From 2007 to 2018, HWNT has supported 756 LIP students and awarded 376 scholarships worth over $3.2 million. ​Florence Salazar Bruner is Owner/Operator at Firehouse Auto Sales. Affectionately known as "Flo" to her friends and colleagues, she currently serves as HWNT Fort Worth Membership Chair. Flo started her business five years ago and named it in honor of her two sons that are firemen in US Air Force. With 21 years of experience, Flo's dealership is dedicated to offering high-quality, pre-owned vehicles to customers. Her goal is for customers to be so delighted with their purchase that they'll return and happily recommend her to friends and family. As a woman-owned business in a male-dominated field, Flo says "Customer referrals are the ultimate compliment." She joined HWNT four years ago when she came to Fort Worth not knowing a soul. "HWNT helped me and my business to grow into to the community. One of my proudest moments was being pinned by my mentor and former Membership Chair, Alejandra Giraldo. I love the Fort Worth community and the people that are involved. 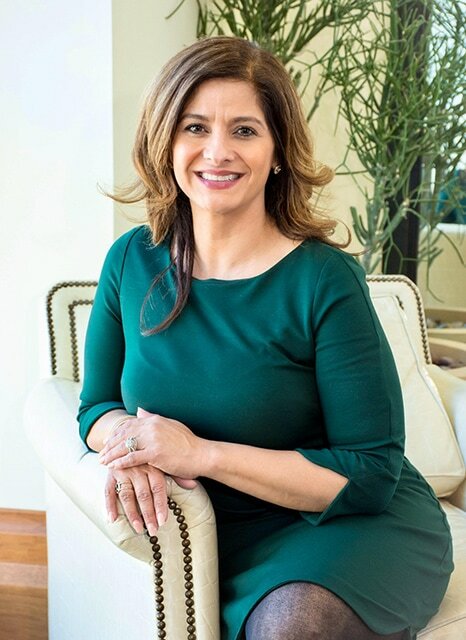 Our organization is about women lifting one another up in our businesses and personal lives, as well making a difference in the lives of the young women in our Latinas in Progress program." Flo has been married to her husband Scott for 16 years and she is a proud mother of six children. "My family inspires me to do better things in life," says Flo. "These are the people who have shown me to give love and compassion out to the community."